Does the Modular Mechanic From Arcbound Reclaimer Combo With Phyrexian Rebirth? 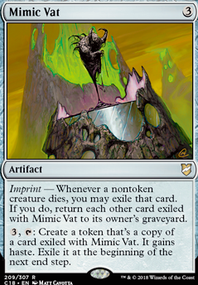 Destroy all creatures, then create an X/X colourless Horror artifact creature token, where X is the number of creatures destroyed this way. 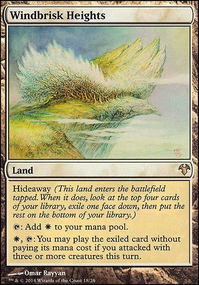 Swords to Plowshares is the best option for white decks. But for more universal removal, Beast Within or Banishing Stroke do nicely. 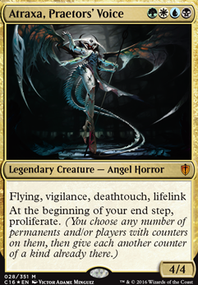 For board wipes, I'd consider Phyrexian Rebirth , Martial Coup , and Fumigate . They'll give you a board presence or life. Some spicy options are Retribution of the Meek or Tragic Arrogance . 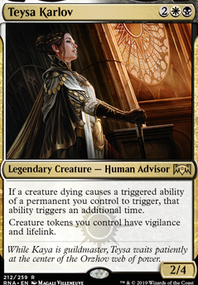 here is some cards that I use, Palace Siege and Spoils of Blood or Skirsdag High Priest and Graveblade Marauder or Accursed Witch Flip and maybe Call for Unity or Congregate and Imposing Sovereign and Doomed Dissenter and Absolute Grace or finally Phyrexian Rebirth . The nastiest Zurgo deck I ever faced was full of boardwipes. After all, you can't block if your creatures are dead. You're in the best colors for it, too. You've got Chain Reaction , Wrath of God , Damnation , Day of Judgment , and Hour of Revelation go for 4 mana or less. 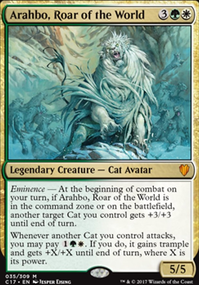 Above 4 mana, you've got Jokulhaups , Deadly Tempest , and Phyrexian Rebirth . 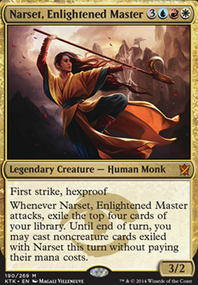 Mother of Runes can not only make your commander unblockable but also protect him. Kusari-Gama is a fun equipment to put on him.